Steve Jobs is not a biopic. It may look like a biopic, some people may have wanted it to be a biopic, but this film is most definitely not a biopic. What is it then, you might (understandably) ask. It is a dramatisation of several key points of friction in Steve Jobs' life. It focuses on the conflicts between Jobs and his ex-girlfriend Chrisann Brennan, between Jobs and Lisa Brennan (the daughter that he, at first, refused to accept), between Jobs and Apple co-founder Steve Wozniak and between Jobs and Apple CEO, John Sculley. Adopting a theatrical three act structure, the film takes us behind the scenes as Jobs prepares to launch three key technological innovations. Here, we build up a picture of Steve Jobs the man - conflict by conflict. I loved this movie and was utterly gripped throughout. It has all the key ingredients that make for a classic film. A razor sharp script by Aaron Sorkin (The West Wing, The Social Network), brilliant direction by Danny Boyle and a truly superb cast - all at the top of their game. However, don't watch this movie expecting a piece of Steve Jobs fan fiction. In this film, Jobs is self absorbed, arrogant and cruel. He is an unbelievable bully. He is a great man that created great things, but who also had significant flaws. And this is the key question of the film. Could there have been one without the other? Could Jobs have been so successful if he hadn’t pushed everyone to the limit? Would we have the products that we love today if Jobs had been kinder, more forgiving? I doubt it - but just where exactly do you draw the line? Michael Fassbender is phenomenal. He doesn’t look like Jobs, he doesn’t sound like Jobs (which was exactly what Sorkin wanted) but, by the end, he feels like Steve Jobs. A tremendous performance. 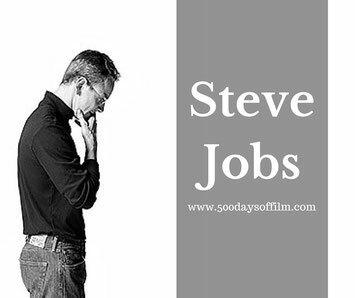 Jobs is humanised, in this movie, by the people around him - and by Joanna Hoffman in particular. Superbly portrayed by Kate Winslet, Apple marketing exec, Hoffman is the emotional heart of the film. When Jobs is being almost unbearably cruel, her steadfast devotion makes us wonder - could he really be so bad if she is standing by him? Hoffman's character also provides much of the humour and light relief in a tense and, often, claustrophobic film. Seth Rogen’s brilliant portrayal of Steve Wozniak and Jeff Daniels’ nuanced performance as John Scully also give the film warmth and breathing space. Meanwhile, Boyle breaks up the dialogue with scenes of pure electricity - for example, shots of a waiting audience. Their highly charged anticipation for Jobs tells us more about the man than words ever could. The conflict at the heart of this movie is, of course, that between Steve and his daughter Lisa. His interactions with her over the three acts are extremely moving. This is the relationship by which the film starts and then ends. Comparing the two, we see how much Jobs has grown and changed. Having now seen the film, I think I understand why Steve Jobs has proved divisive. Steve Jobs, the man, was beloved by so many people. He was an iconic, charismatic and inspirational figure who changed our world. He was also, by all accounts, difficult and arrogant. He would lie, cheat and steal ideas. He was a bully. This we know. Indeed, Jobs’ life has been talked about, written about and filmed (recently with Ashton Kutcher in the lead role) many, many times. His speeches can be found on Youtube, his story, thoughts and opinions instantly available via the click of a button. 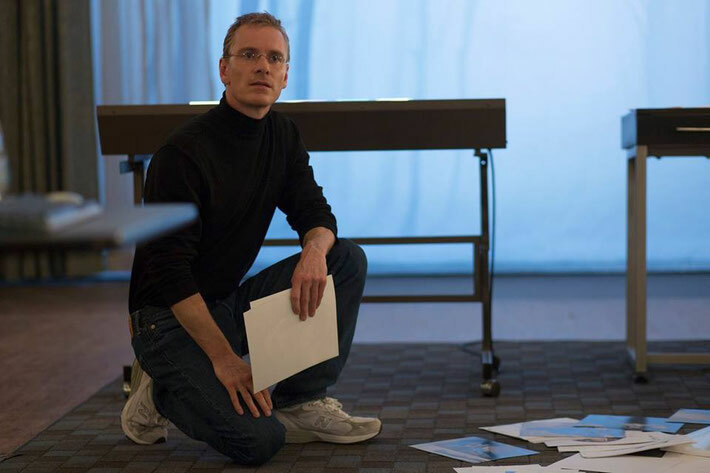 So, when you think about it, we didn’t really need another traditional Steve Jobs biopic. Sorkin understood this - he knew, from the start, that he didn’t want to make a biopic. His story is not based on historical fact. His film isn’t The Steve Jobs Story and was never intended to be. This is, perhaps, what has upset many people. Journalist Walt Mossberg, for example, wrote an article for The Verge criticising the movie. He just didn’t recognise the Steve Jobs depicted in the film. Jobs’ wife, Laurene Powell also slammed the movie. Perhaps they were expecting (or hoping for) a biopic - a cradle to the grave story. Perhaps they were angry when they didn't get one. I can completely understand their feelings. I would probably feel the same. Of course you don’t want to see a film that seems, on first glance, to be focused on the flaws of someone you love. And yet, from the distance of an observer, I don’t believe that this film slurs Jobs or taints his legacy. Yes it does depict Jobs as cruel and difficult. But it also shows us how innovative, passionate and powerful he was - how he created products that we just had to have - often before we even knew why. How he grew and softened and regretted the way he initially treated Lisa. By the end, I had even more interest in and respect for Steve Jobs the man. And I would wholeheartedly recommend this film. Steve Jobs shares a key theme with Whiplash. How far should you push yourself and others in the pursuit of brilliance? Do you agree? There is a brilliant piece of footage of Arthur C Clarke at the beginning of this film. It is amazing how closely Clarke predicted the future. I also love the journalist’s skepticism about how damaging it might be for society if we were all addicted to screens… brilliant. Thank you for reading my review. Phew, I appreciate that this one was pretty long! 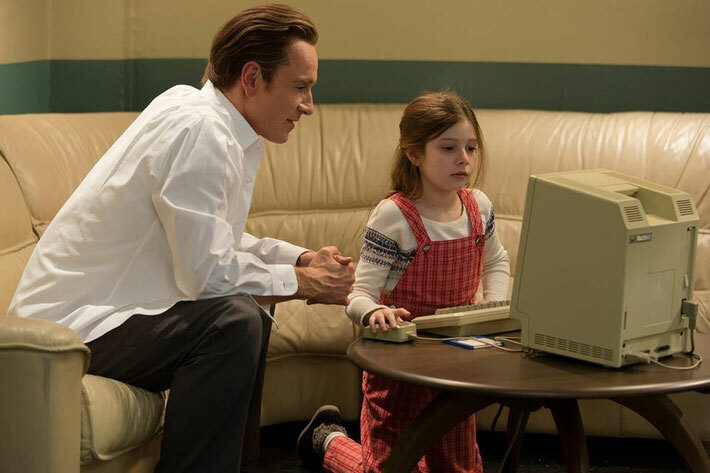 If you have seen Steve Jobs, I would love to know what you thought of this film. Please do feel free to leave a comment in the box below. Thanks Jane, your review has made me appreciate the film a whole lot more. I was expecting a biopic, and that was perhaps the only disappointment I felt when the film credits rolled. But in its own terms it is a really good watch and the acting and dialogue are first class. I can't help wonder what people close to Steve Jobs think of this portrayal but I'm interested in finding out more about his life and what he did.